Count Vronsky (John Gilbert) falls in love with married Anna Karenina (Greta Garbo), who abandons her husband (Brandon Hurst) and child (Philippe De Lacy) to be with him. Greta Garbo starred as the tragic literary heroine Anna Karenina twice during her relatively brief on-screen career. This earlier (silent) version constitutes a highly pared-down adaptation of Tolstoy’s classic novel, telling a simple romantic morality tale of illicit desires, challenging choices, and conflicted outcomes. 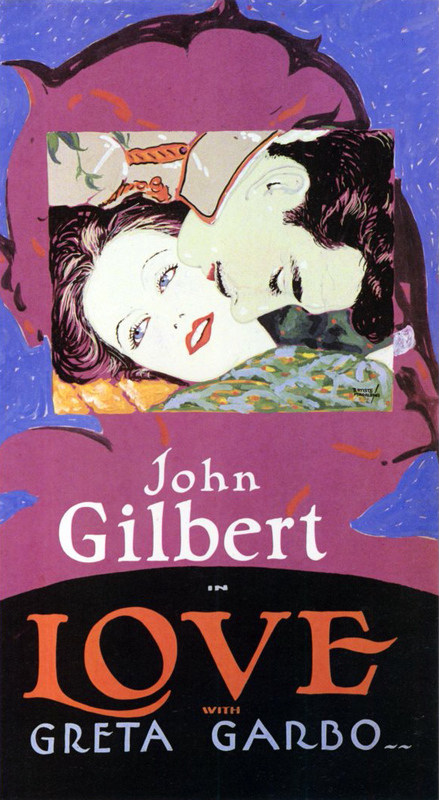 It was directly made to bank upon the onscreen chemistry exhibited by real-life couple John Gilbert and Greta Garbo (who starred together the previous year in Flesh and the Devil); highlighted by William Daniels’ fine soft focus cinematography, they once again make for an appealingly sensuous pair of star-crossed lovers. 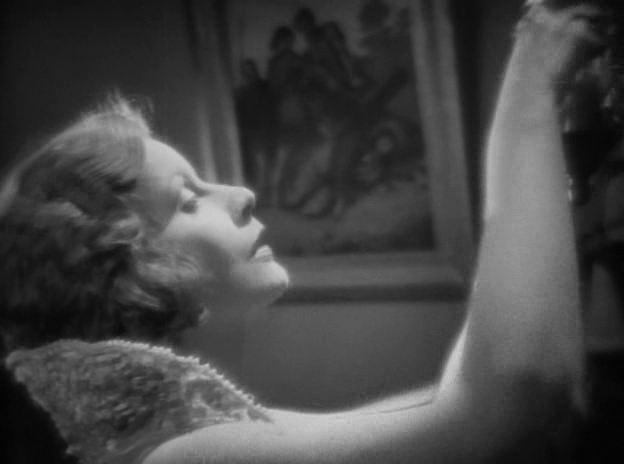 However, the film as a whole isn’t really must-see viewing for anyone other than Garbo completists. Note: This film notoriously had two different endings: one more authentic to the book (i.e., depressing), and one tailor-made for audiences wanting a more cheerful resolution. This latter ending is the one I saw, on a version aired for TCM which was taped live during a screening at UCLA — complete with an audience laugh-track (and not always during “appropriate” moments!). No; this one is only must see for Garbo fans. Having recently read ‘Anna Karenina’ for the first time…seeing this (ahem) ‘adaptation’ is shocking…in the sense that it hardly seems much of an adaptation at all. In studio terms (and as a silent feature), I get it: They wanted to film a love story, something exotic and literary, etc. No one who knew the book would have expected anything all that faithful. It does have a few scenes from the novel. But, overall, this is kind of laughable (as the studio audience for TCM realized, for various reasons). And tacking on a happy ending is just icing on the ludicrous cake. The film doesn’t really seem to work, even on its own commercial terms. In its day, audiences probably didn’t even care. But when we look at it now…well, Garbo got another chance some years later. At least there’s that. Like ‘Love’, the subsequent ‘Anna Karenina’ still clocks in at about 90 minutes (so a whole ton of Tolstoy is tossed). But it’s a better effort – and reason enough to ignore this earlier version.